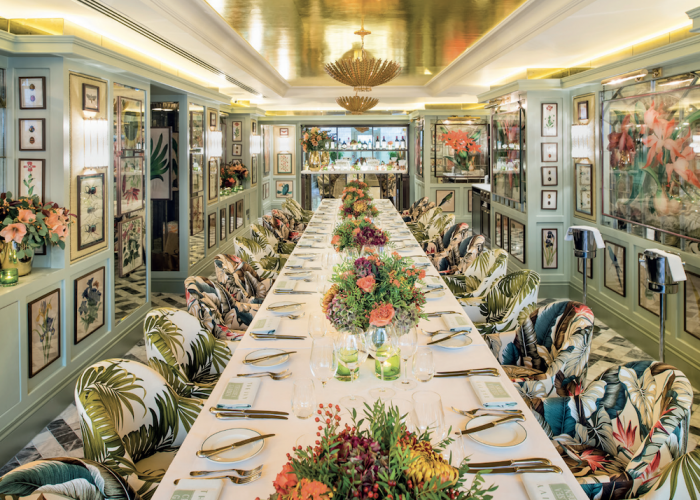 Private Dining Room at The Ivy Chelsea Garden - 195-197 King's Road, London SW3 5EQ. Thank you for your interest in The Ivy Chelsea Garden! 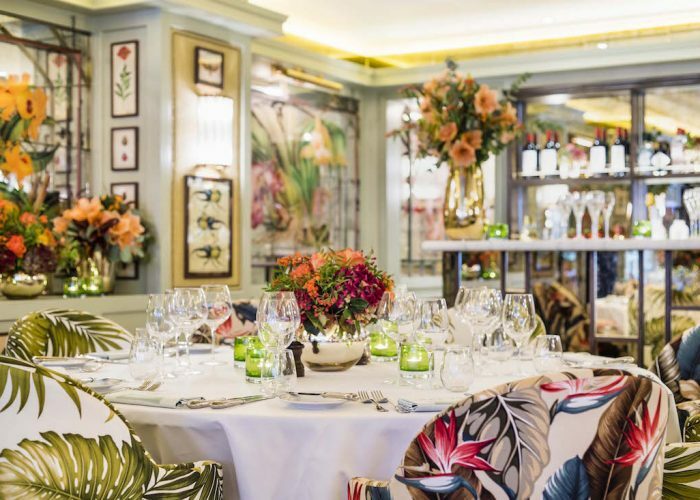 The Ivy Chelsea Garden’s Private Room is a new and exciting addition to the favoured local restaurant, situated on London’s iconic King’s Road. The exclusive and versatile space seats 30 guests on one long table or 24 guests on three round tables of eight, and has a standing capacity for 50 guests, lending an ideal setting for all private gatherings; be it wedding receptions, birthday soirees or corporate functions. 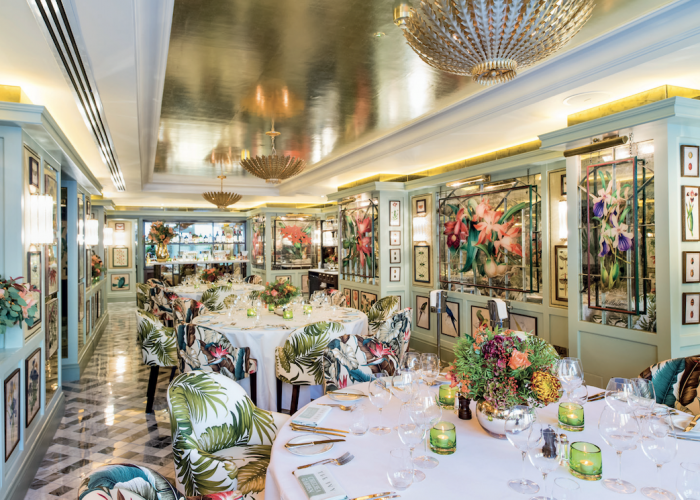 Resembling a similar design to The Ivy Chelsea Garden, The Private Room features vintage British furniture, opulent floral artwork and pendant lighting, combining sophistication and familiarity. For added exclusivity, the room boasts a private brass bar topped with marble and antique mirror panels, private kitchen and bathrooms. Complimenting the room’s intimate and chic interior, tables are dressed with beautiful seasonal flowers and tea lights along with menu and place cards tailored to each event free of charge.